Robert Cohen spoke at several previous IoT Slams and is a frequent speaker at Cloud Expo and other conferences. He directs the Economic Strategy Institute’s project on the economic impact of the move to a digital economy that is focusing on IoT, AI, and ML. The project has won a Cisco university grant as well as support from the Ewing Marion Kauffman Foundation, the Berggruen Foundation, Brocade and the OECD. Dr. Cohen has served on the Steering Committee of the Global Grid Forum and has written extensively on enterprise use of IoT. Firms such as Intel, IBM, Corning, Sun, and Juniper Networks have funded his work. 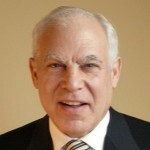 Dr. Cohen founded the New York part of the academic Internet, NYSERNet, and is a founding member of the Internet Society. He holds a BA from Swarthmore College and a PhD from the New School for Social Research.